Just received this month’s box from the postman this morning. 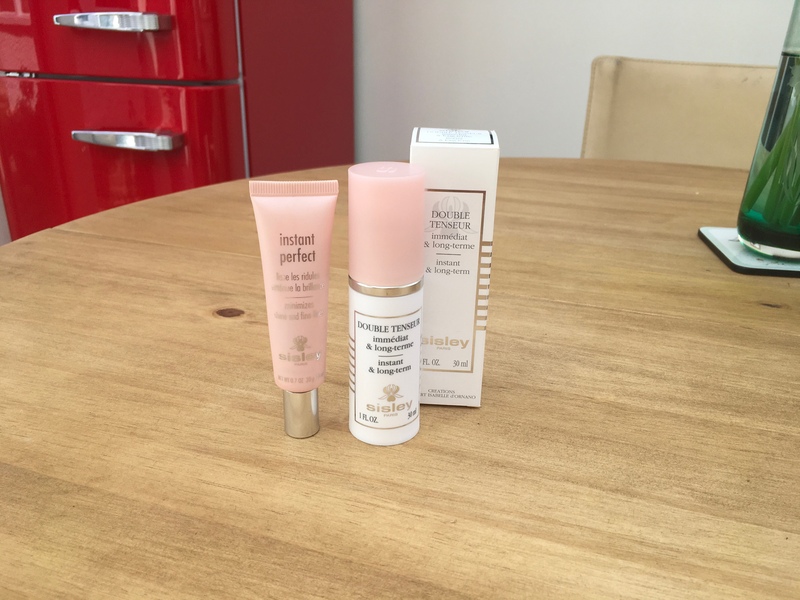 Loving these sample sizes,as I’m going ski-ing at the weekend and they are perfect for travel. This month’s theme is Rose. I use this before I do my proper Clarisonic cleanse( I use the Phyto-blanc Lightening foaming Cleanser). This is a very pleasant cleansing milk designed for sensitive skin. I find it’s great for taking off the makeup. It clears the skin ready for my shower time. I always double cleanse, because I believe there’s nothing more important for the skin than cleaning it properly,other than wearing SPF and staying out of the sun. This cleanse contains White Lily extract which promotes comfort to the face, Linden Blossom to soften, sunflower oil to nourish, Vitamin E, a good antioxidant, Woodmallow for hydration and Orange Blossom for toning. This is a very good all rounder,which I’ve used time and time again, especially if I’m away. 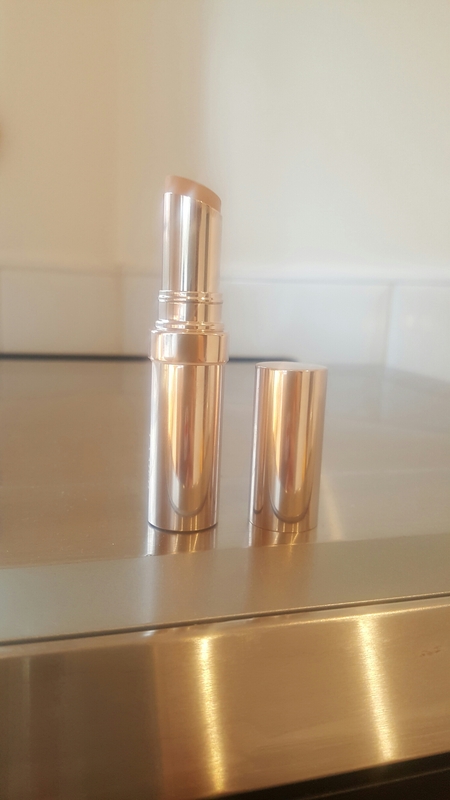 These size bottles are also really handy to decant any full size products into for handbags and flight bags. This is great if you’ve just exfoliated your face. It clears up any residue from masks etc…It contains Witch Hazel and Rose for calming the skin down, especially if you’ve had a scrub.It smells and feels fab! I tend to use a Glycolic Acid toner every other day. And this on the days in between. Which,I find to be a good balance. It’s also nice if you just want to swipe across the skin for a quick freshen up. 3) Black Rose Cream Mask. I go through tubes of this stuff. It is absolutely one of my Holy Grail products. It stands alone as far as masks go. It does suggest to leave it on for 10-15 minutes and then wipe away any residue. Forget that. Seriously. Slather it on and go to bed. You will wake up with a new face. (My step-daughter recently said that I still look like a teenager. I’m not sure if it’s this stuff or whether she’s just after some cash. I tell myself that it’s this stuff.) I also sometimes wear a thin layer as a moisturiser before make up. It keeps everything super plumped and hydrated. And the smell is almost addictive. If you’re going to splurge on anything from Sisley,then make it this. It’s worth every dime. Note; I had some Harrods rewards points. Which get converted into cash every year. I spent every last penny of them on this one product. It’s the only time I’ve ever seen my Husband openly weep in public. 4) Black Rose Precious Face oil. This is just too good. Like the cream, the smell is addictive as is the texture. You do not need a lot. It spreads really really well. I find that if it is applied underneath the mask and left on overnight the results are outstanding. It contains Omega 3&6, powerful plants extracts like Plum and Camellia oil and Padina Pavonica which they say nourishes and regenerates. To me though,its the Rose that I’m obsessed with. It’s also good for dropping into your foundation if you want that more natural radiant complexion. I can’t fault this or the mask. I haven’t actually purchased a bottle of this. I normally wear their rich Soir D’Orient. Although I’ve had plenty of samples. It’s their latest fragrance release. And its full of Summer promise. Very floral and fresh with Rose at the heart of the fragrance. Overall, this is a good little box. It’s useful and they’ve covered most bases with it, especially if you’re on the move and can’t take all your swag with you. The mask alone will replace both serum and moisturiser for me for my ski-ing so it’s a real bonus getting this in the box. It’s a handy size for my weekend trip. As is the cleanser and toner. I truly love getting this every month. Although when the samples run out, it becomes painful when I have to whittle it down to what I actually need to repurchase as a full size item. And then always end up crying and then caving in. (And that’s just my husband). It’s all too good. And I now live on nothing more than beans and fresh air. The bonus being is that I have fabulous skin that smells and looks great. I spent £35 for a six month subscription from the Sisley-Paris website. You can pay £70 for a whole year. I only didn’t subscribe for the full year because I genuinely wanted to see whether it was a worth it. Well it is. Trust me it’s really excellent value when you consider the quality of these products and the ingredients that are used to create them. And I use all the plastic zip lock bags for Q-Tips, cotton pads and hair bands in my suitcase. This alone is worth the money. Ok,so its not often I’d do two posts in one day,but today I have the time and quite possibly tomorrow also. I just want to do a quick review on a couple of Sisley items I picked up in Harrods at the weekend. If you’ve read any of my other posts then you’ll know I have a true love of the brand and everything they do. I know they’re expensive,but I’ve got valid reasons as to why I favour them so much. I’ll bore you with that story another day. So back to primers. I picked up two of them. The reason is because I feel that they both do different things. And both are excellent at doing their thing. The Double Tenseur is a fairly new offering. I was lucky to get a sample of this with a purchase the other month. It was something that I probably wouldn’t have been fussed about,but it was there and it cant be wasted. And like all the samples Sisley dish out, you end up wondering how you every lived without it. Now I feel I have given the product enough of a run to be able to comment on it. It’s no good trying it for a day and then casting a vote. Well,not unless its behaved badly and left you with vile skin. It needs a good couple of weeks to get it to optimum performance levels. It’s not actually advertised as a primer. 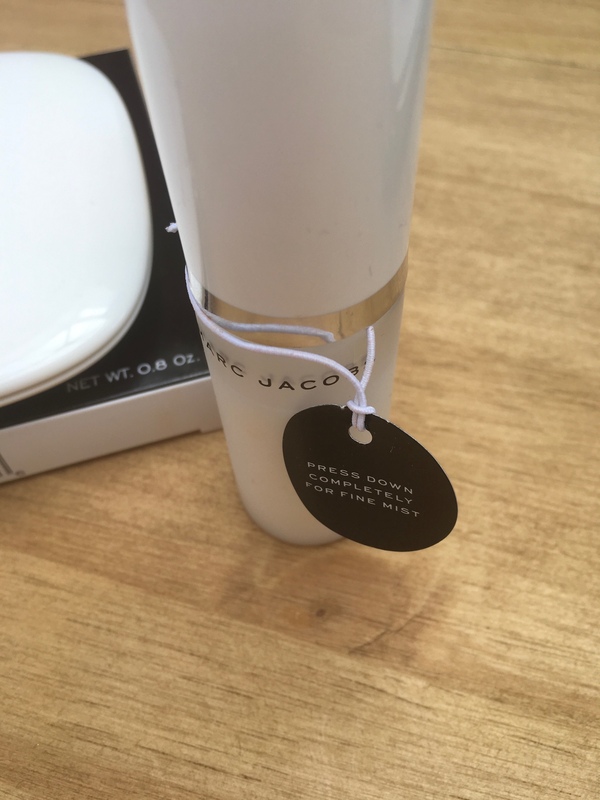 Instead, and I quote the brand here, it’s a powerful moisturising lifting skin care with botanical extracts that not only works instantly but over the long term also. It’s like a second skin with a breathable flexible 3Dmesh that stretches and then retracts to lift the features. And whilst it’s doing all this it also has a combination of Rhatany (this is a root from a medicinal shrub found in S.America) and lemon extracts that tone and smooth out the skin. Does it work? Well,yes,actually it does. But,you only realise this when your sample has run out and you start grizzling. It’s a cracking product really. It lays down a really good canvas for anything else you put over the top of it. Even if it didnt have long term skin benefits, the fact that it creates a perfect base for foundation is enough for me. The other attributes are a bonus. And at the end of the day when my face comes off, my skin feels good!!! !Not just clean, but good!! I’m very impressed with this product. It does what it says on the tin. I mean,box. Moving on to the Instant Perfect. This definitely has the silicones about it. 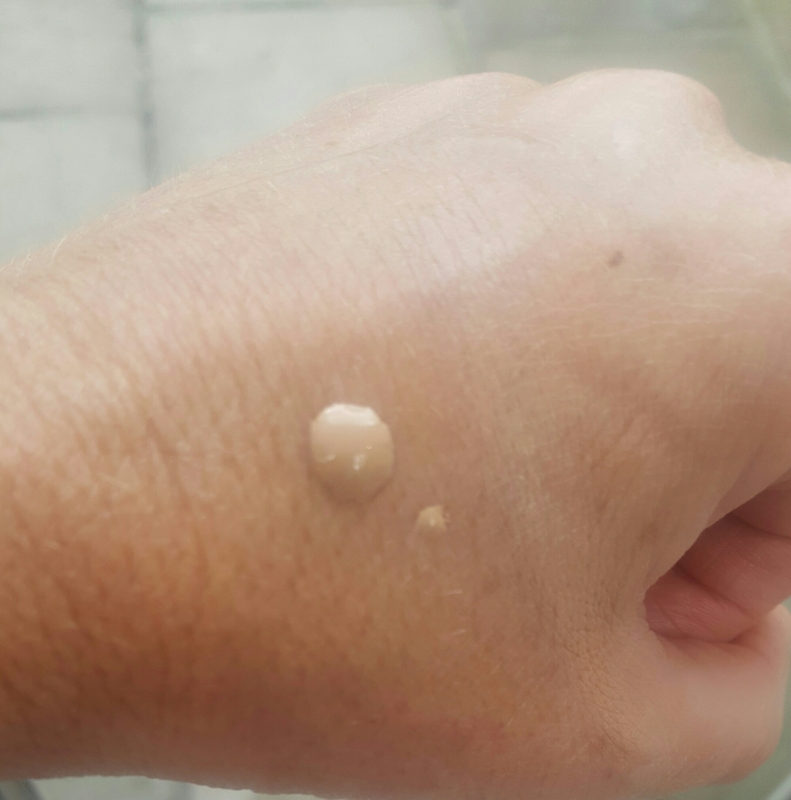 Which as everyone knows feels like velvet when applied and does a jolly good job of pore minimising and filling in fine lines.This product is no exception. If you want to Mattify any oily T-Zones or forehead shine,then this is your friend. Also,if you just prefer a Matt complexion over a glowy look,then this is also your friend. Added to that it has the usual skin goodies. I.e Its not going to clog your face over time. 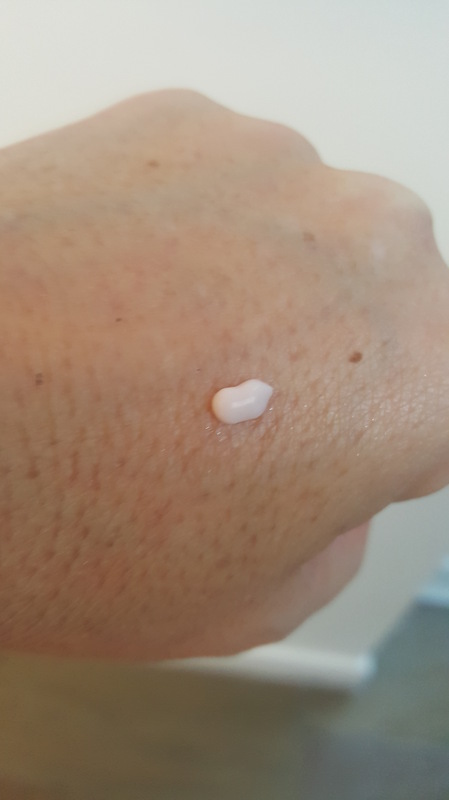 I must say, it is very reminiscent of my beloved YSL moisture glow in texture and it has the same colour/feel as the Clarins skin perfector equivalent. So if you don’t want to part with so much dosh then these two are a very good alternative. I,personally,have been marrying the Double Tenseur and the skin perfector together and have had outstanding results. Brilliant in fact. Too brilliant,as I now feel like I’ve created my own monster and will never be free again. 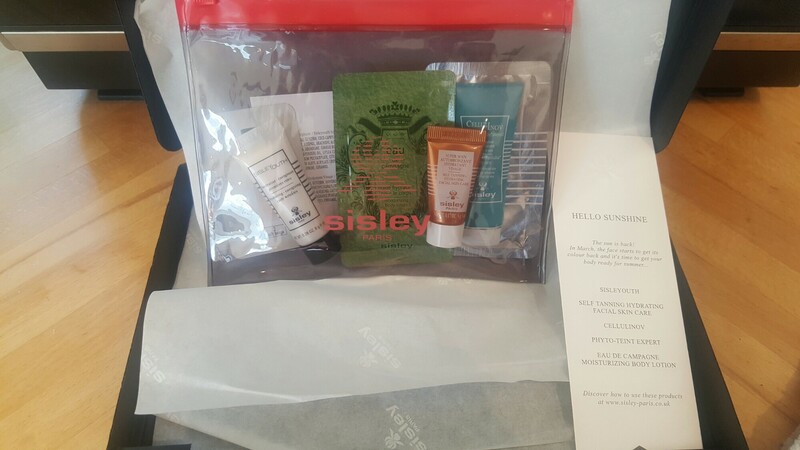 I’ve recently signed up for this monthly Sisley subscription. It’s an excellent way to trial run products before purchasing the full size items. It’s a lovely treat every month. And I really look forward to receiving it. I’ve actually purchased some excellent products off the back of this. Some of the items I already own but it’s great having handy travel sizes if I’m going away for the weekend. The subscription service costs either £35 for 6 months or £70 for a year, which considering the quality of the products, is excellent value. 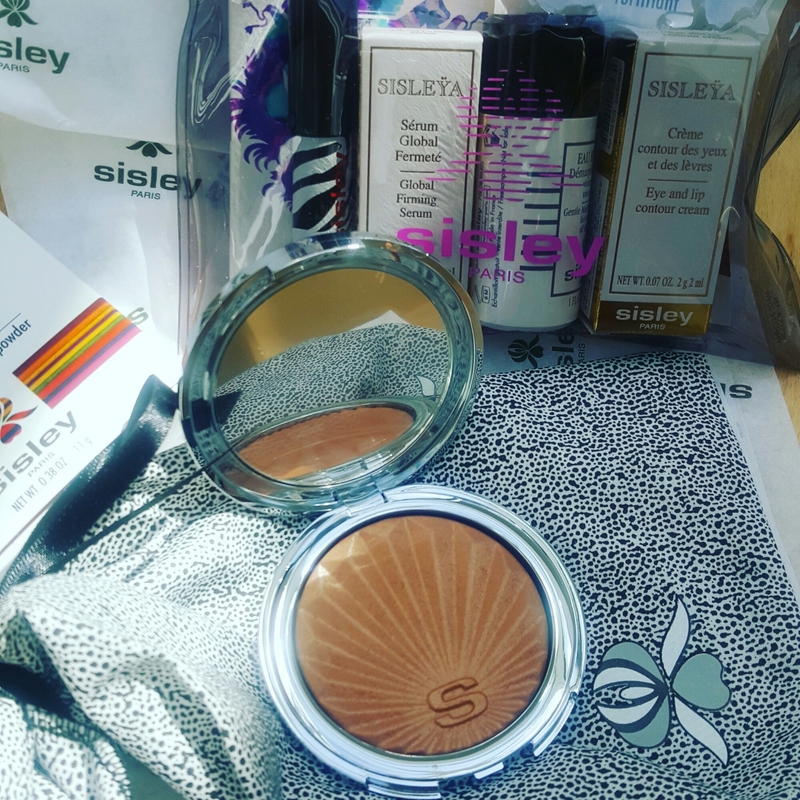 I find myself sliding more and more towards Sisley for cosmetics these days. Where they are predominantly known for their uber-luxe skin care,I feel that their cosmetics are really starting to come to the fore. And the reason, is because they are packed with super quality skin ingredients. 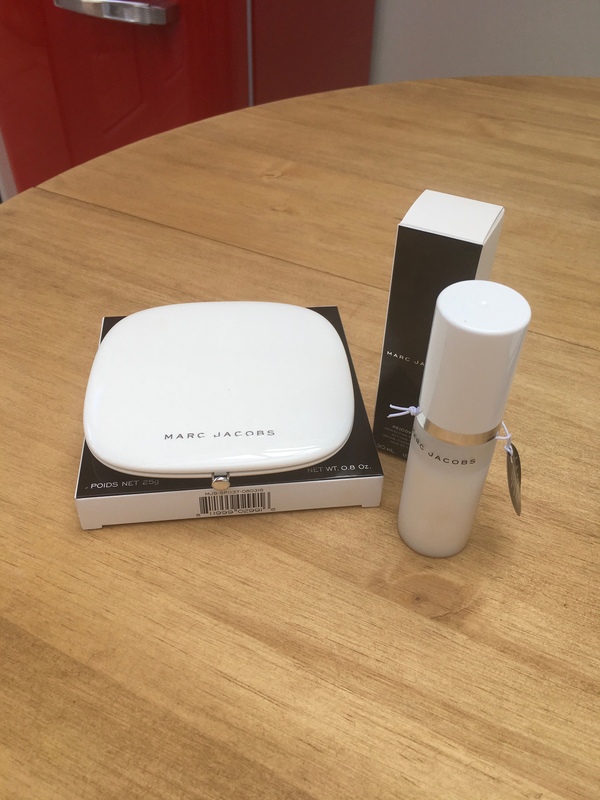 So not only are you getting stunning make-up but you are also investing in top notch goodies, which being in my mid forties is a must. I can’t afford to put anything on my face now that isn’t working for me in some capacity. 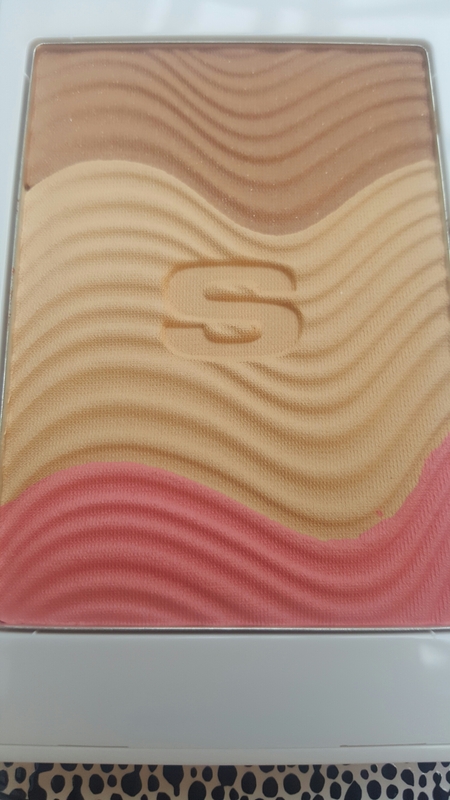 This sunglow powder is their latest offering. I’d hit pan on their bronzer,that I’ve also reviewed and decided to give this a go for a change. My first thoughts is how much it looks like Neopolitan Ice-cream. The colours alone set the pulse racing. Three perfect shades for summer. There is another variation of this in darker bronze shades, which in the past, I would’ve automatically chosen, but, as I no longer sport so much of a tan, I opted for this colour combination instead. The main reason being is that they suggest using the middle powder shade as an all over powder. This is something I’m really looking forward to using. Setting powders as an rule leave me looking a bit cakey however fine they promise they are. Yet, this really does feel light so I hope it lives up to its claims. 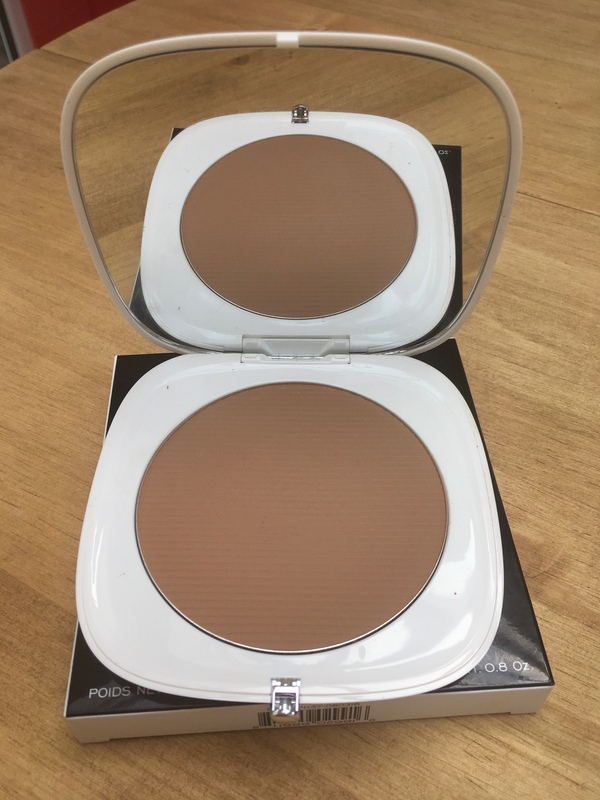 The darker bronzer shade is not as dark as the original bronzer,but it is a shade cooler which is probably a more authentic tan colour.And the Pink is really subtle and pretty. It creates a natural flush. The added bonus is this little Kabuki Brush. It’s pure luxury and I will almost certainly be using it. 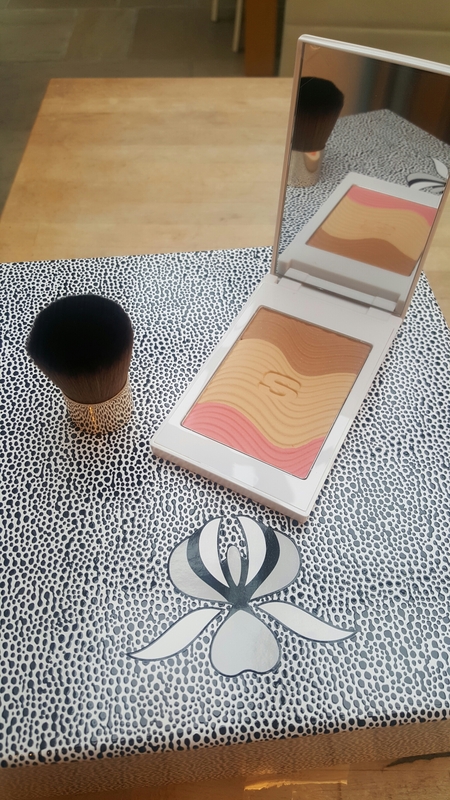 It’s manufactured by the brand that create Sisley’s range of full size brushes. It’s a welcome addition to my ever expanding brush collection. The Powder itself is as soft as it comes. Enriched with Shea and Camellia oils it’s bound to feel amazing on the face. 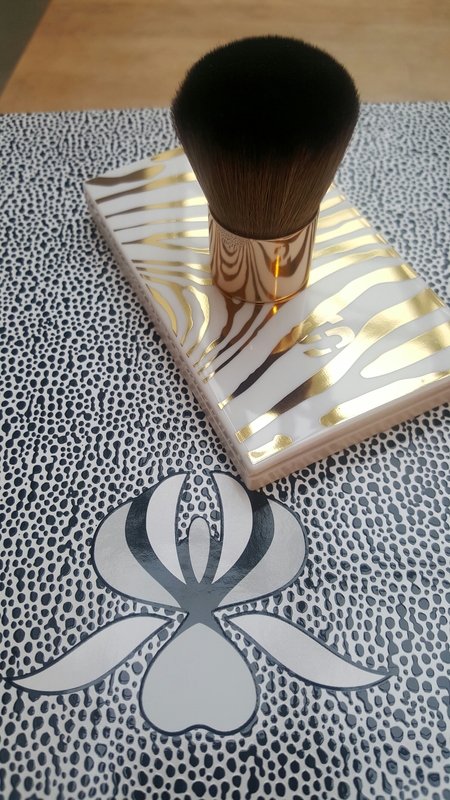 At £71 I think people will probably hesitate at first but once they try this out for themselves and feel how gloriously soft it is, they’ll be hard pushed not to want it, even if it’s just for the stunning gold Zebra Print compact. Edit* I’ve now been wearing this for a couple of days. And the secret of this is to definitely wear the lighter middle shade over the whole face and to then lightly buff in the bronzer around the perimeter of the face. 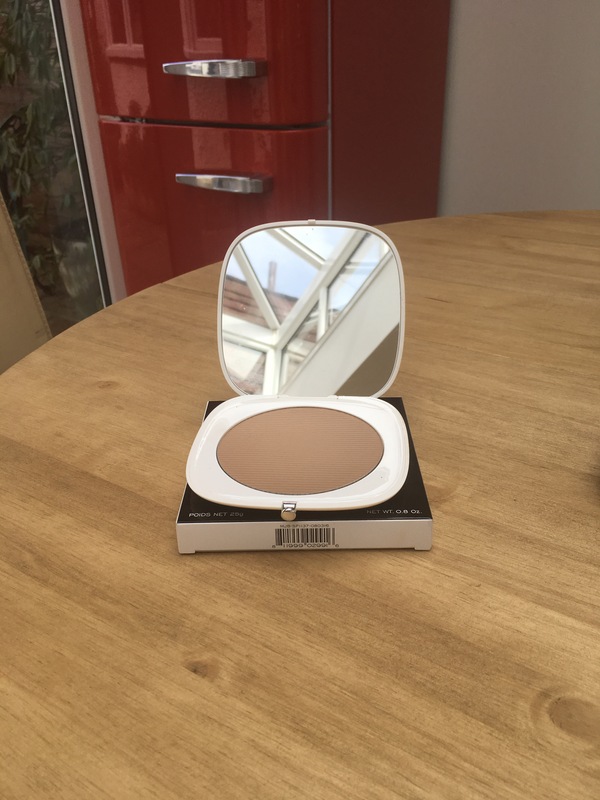 This product blends really well and leaves the complexion with a brilliant seamless finish. Add the blush shade to the apples of the cheek so they give off that slightly caught look. It’s even better to you use the bronze underneath the blush so it gives off a truly tanned look. I’m delighted with this product. All colours are designed to work well together. And my skin feels velvety soft. 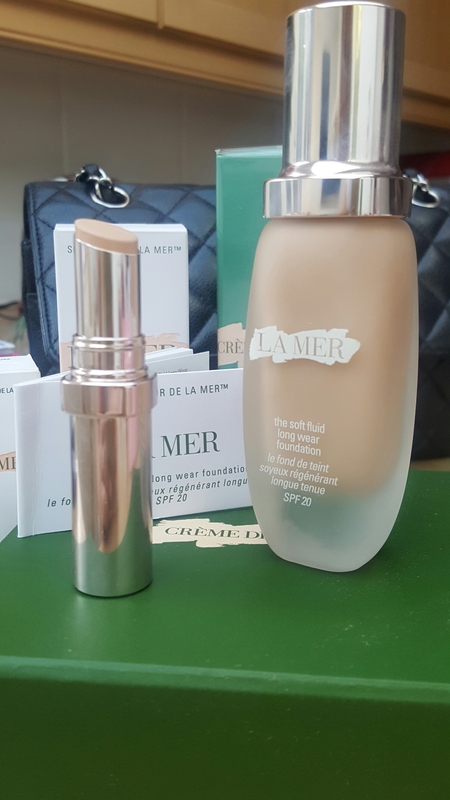 La Mer *New* The Soft Fluid Longwear Wear Foundation & Concealer. 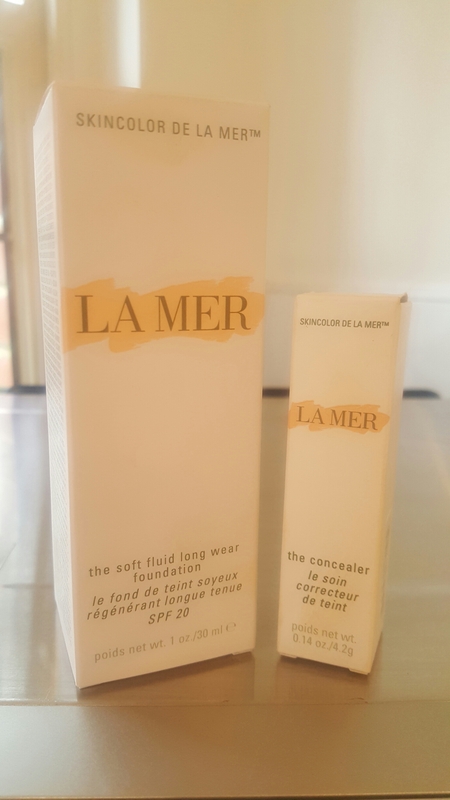 Anyone who has read any of my previous posts will know that I have a long term love affair with La Mer, so when the new SkinColor range came on sale I pretty much dived straight in. Well, I have bought the foundation and concealer so far. I won’t purchase the powder or the illuminator until my old ones are finished even though I’m chomping at the bit to try them out. My initial thoughts are on the packaging because it’s what we all see first. The original cardboard casing is alot thicker and had a pearlised finished to it. This doesn’t. Which, personally doesn’t bother me. I rather there was less waste in the world. The new packaging does seem rather more eco-friendly, which is where all companies should be at by now. And as long as the product performs, the actual packaging means very little. The new frosted glass container seems more refined and slimmed down compared to its predecessor. Personally I prefer it. The content is no less in volume and the lid is certainly a lot more friendly. Now onto the actual product. This foundation is like wearing velvet. The consistency is sublime. They’ve completely upped the game as far as long wearing foundations go. Normally all day wear makeup is thick, cakey and mask like. This is nothing of the sort. It glides on and immediately becomes one with the face. There’s no weird oxidisation. The colour stays true all day. There’s no crepeiness , no flaking, no shine and no pilling. This absolutely stays fresh for the entire day. Which I honestly can’t say about anything else I’ve tried. By 5pm it’s as good as it was when I first applied it. It is also chocked full of Miracle Broth goodies and the SPF is higher than the old one. 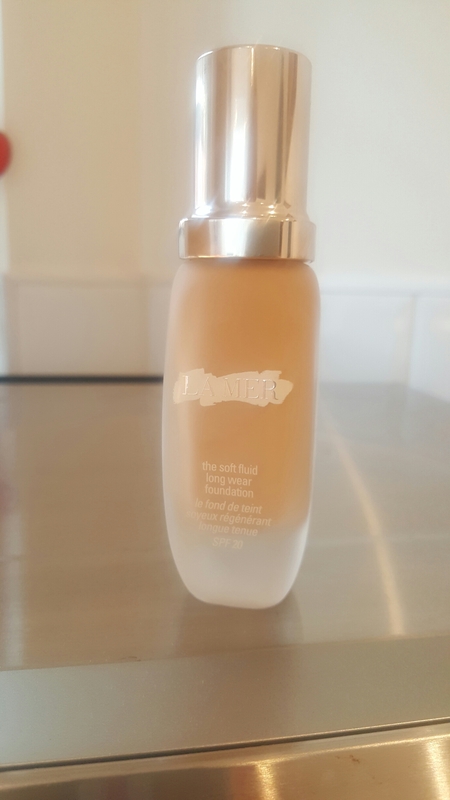 So not only do you get a brilliant foundation that stays true to form, it’s also beavering away to give you a better complexion. Love it! 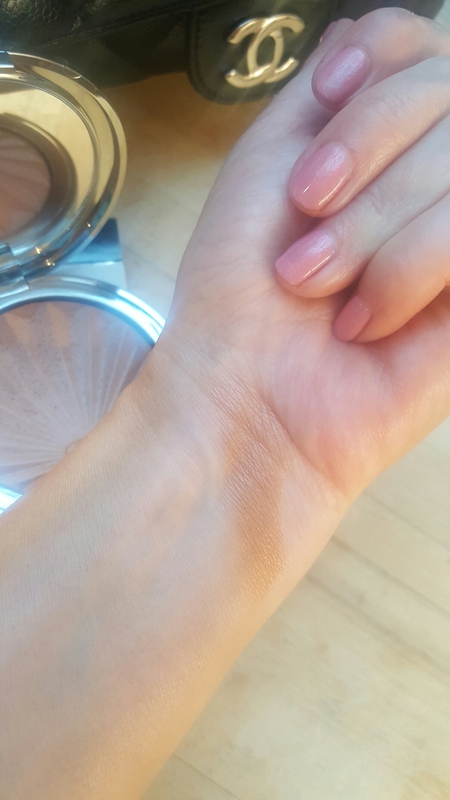 I bought the shade Linen as this was the best match for my skin, although I did warm the perimeter of my face with a dusting of bronzer. I can honestly say, I looked flawless with very little effort! This is definitely a more convenient way of applying. The old compact was cute and I did like it, but this is so much more handbag friendly. So less fiddly! I chose medium because it’s what I was in the old format and honestly, the colour is no different. The consistency however, does boast a more moisturising finish in my opinion. It still spreads like a dream, but it is so much more silky and less opaque. It still has the great coverage quality but a more refined texture. It also carrys the Miracle Broth. Which over time will certainly make my eyes look less tired! I haven’t stopped wearing either products since they came to my door. And will review the Powders /Brushes when the time comes to invest. I must also point out that both products marry very well with the new Soft Moisturising lotion. Which, is also another game changer. I really didn’t think that La Mer could improve on what were already outstanding products. But they have. 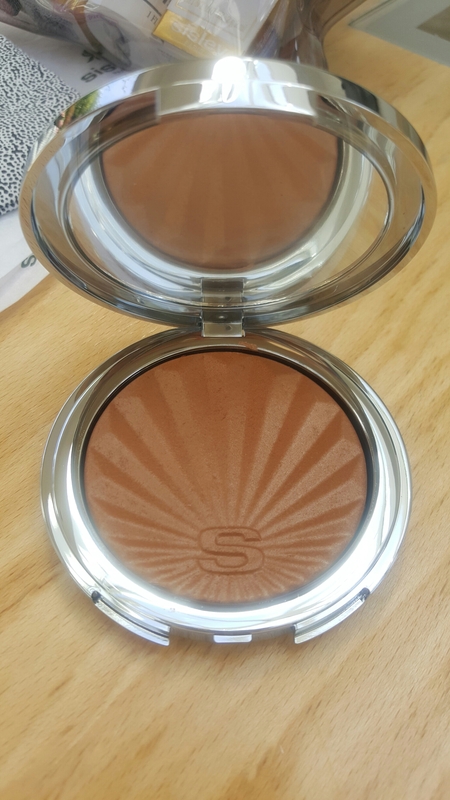 Straight off the bat, this is one of the most beautiful formulas I have ever come across in a bronzer. 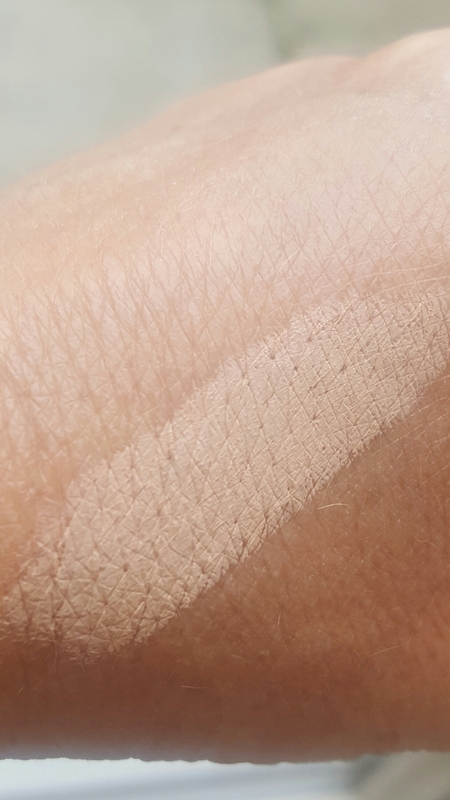 It is so light and so pigmented I’ve been completely blown away by it. You know, Sisley is one of those brands that whatever you buy, you know you’re getting the best ingredients out there. It’s a gel powder consistency and contains extracts of Gardenia, Mallow and Linen Blossom. Im completely infatuated with it. It is so velvet soft and such a beautiful colour, it just literally glides and melts into the skin like a dream. It blends out without any harsh build up or lines and gives the face an almost perfect celestial quality. And the colour is just a beautiful golden sunlit shade. There’s no orange and no muddiness to it. It’s pure sunshine. 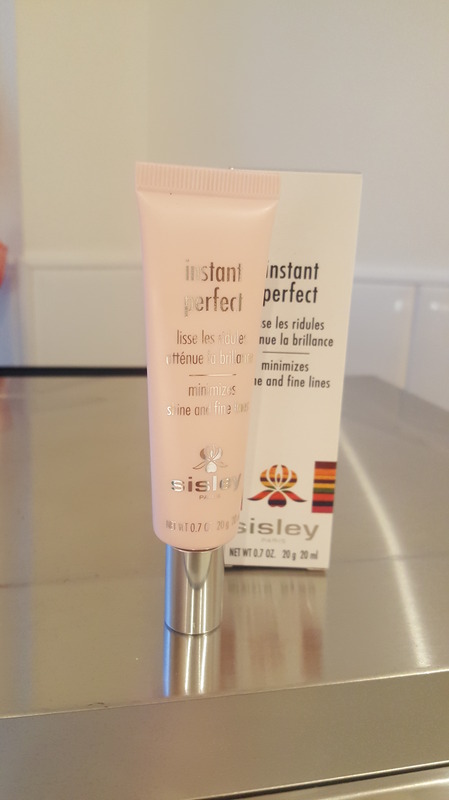 And thanks to Sisley I got this with an offer of a free lip twist pen and a sample size.So Intense mascara. Both so beautiful I will almost certainly be purchasing them again. And I was also lucky enough to recieve an eye make up remover and some lovely skincare samples, which all came packaged in a fabulous zip lock bag. To say I’m delighted with these products would be an understatement.